Light, Bright, and Spacious with a Fabulous Backyard! This townhome lives like a single family home, with all of the spaces and features you've been searching for. The heart of the home is a lovingly updated family room with on-trend wide plank flooring, feature gas fireplace, big windows that stream in natural light, sunny eat-in dining nook, and the fantastic kitchen with upgraded cabinetry, breakfast bar, stainless steel appliance package including fridge, custom backsplash, and tons of counter and cabinet space for prep and storage. This home features the best master suite in town, with tons of space for a real bedroom set or retreat, and an en-suite updated bath. There are two spacious bedrooms and an additional full bath as well. The upstairs laundry makes this everyday chore less of a chore. 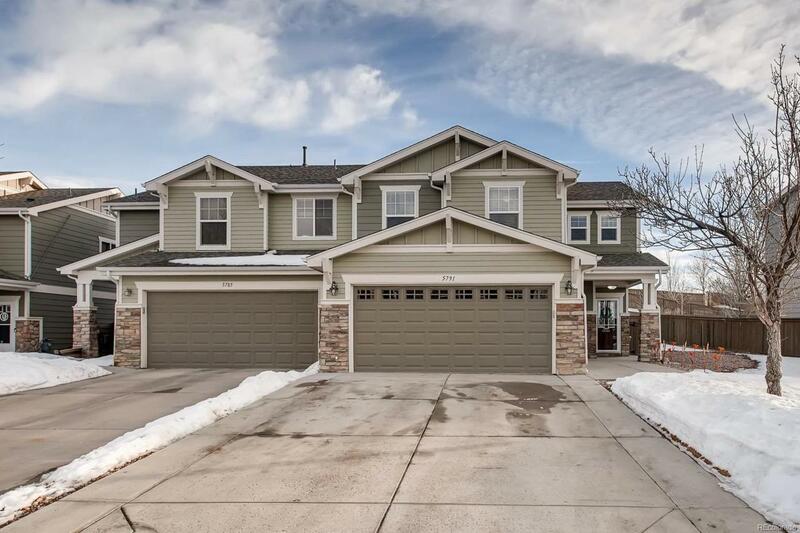 You will love relaxing in Colorado's famous 300 days of sunshine on the back patio in the amazing backyard that's larger than most single family homes in the area. Come visit today!